United Nations - discussiongroup's JimdoPage! LEIDSCHENDAM, Netherlands — Judges at an international war crimes court have sentenced former Liberian President Charles Taylor to 50 years in prison following his landmark conviction for supporting rebels in Sierra Leone who murdered and mutilated thousands during their country’s brutal civil war in return for blood diamonds, the Associated Press reported. 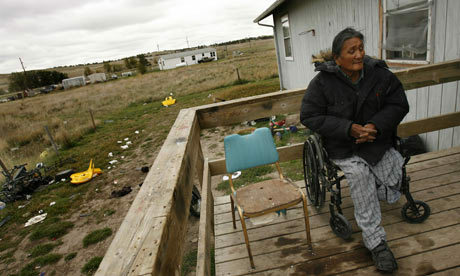 The UN is to conduct an investigation into the plight of US Native Americans, the first such mission in its history. The human rights inquiry led by James Anaya, the UN special rapporteur on indigenous peoples, is scheduled to begin on Monday. The research satellite Rosat, seen here in a computerized reprodution, crashed to Earth last October. Last October, the German research satellite Rosat plunged into the Bay of Bengal, more than 20 years after it had been launched into orbit. But had it remained aloft for just seven more minutes, it would have landed in Beijing instead, new calculations show. Somalian refugees at a camp in Kenya: "We need sustainable agriculture tailored to regional conditions." Gains in the battle against malnutrition have been made in many countries, but a concerted effort to slash the number of people around the world facing food shortages is still needed, Jose Graziano da Silva, the new head of the United Nations Food and Agriculture Organization says in this interview. Da Silva is supporting tighter regulations on speculation, which has been broadly tagged as a major contributing factor to rising food prices.